As many of you know, I also paint using various mediums. 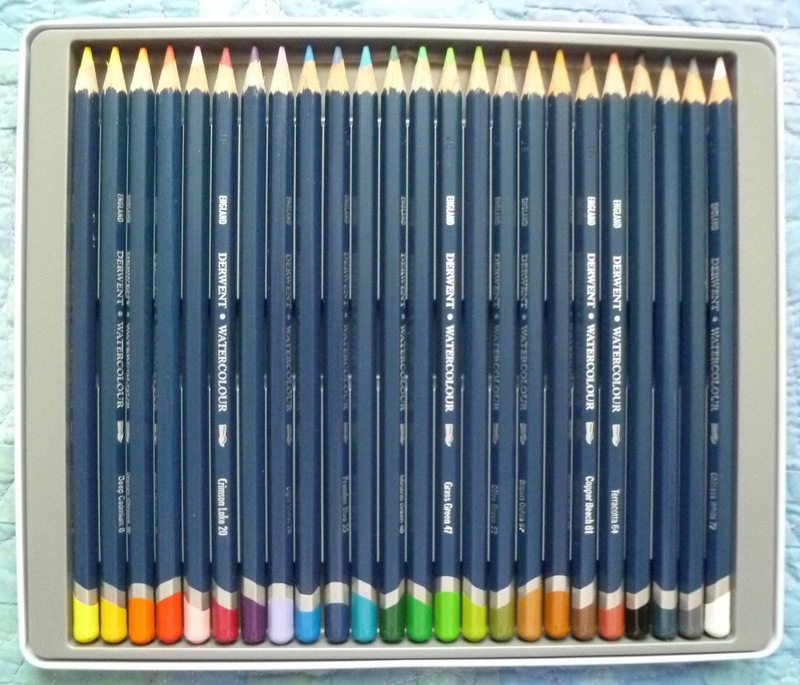 I have had watersoluble colored pencils, pastels and color blocks. They all "turn paintery" when water is added. 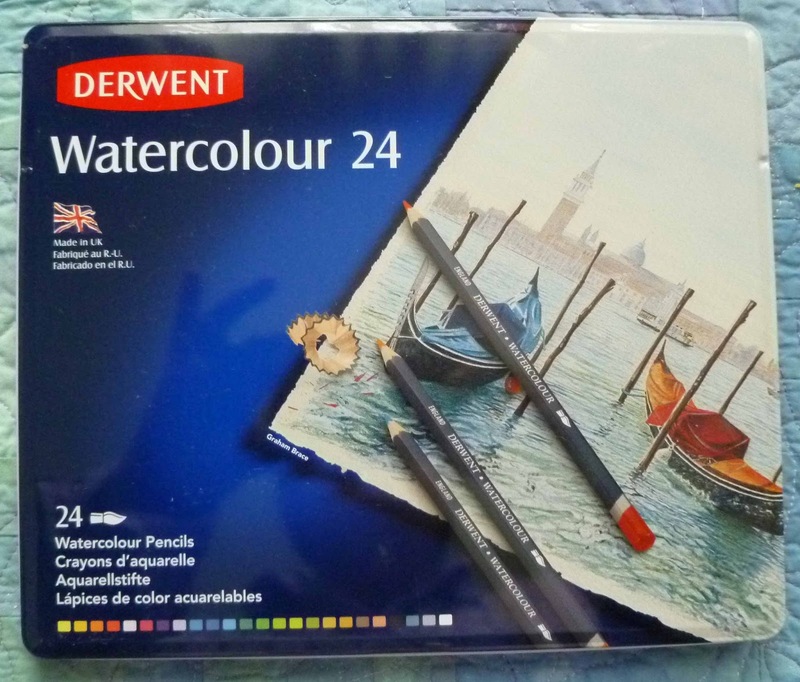 However, there is one brand of watersoluble colored pencils that become permanent after wetting and drying and those are Derwent. Their real claim to fame is that they are not effected by water after drying so that layers can be laid down. I have avoided buying them for years even though I wanted them. As a matter of fact, I had them on my Amazon Wishlist for years. Their price recently dropped to about $25. and then this past "Prime Day", they dropped again to $16.95. I bought them. I am SO ANXIOUS to try them out in a piece so stay tuned for that! !